Rossopomodoro was founded in Napoli by three young 'scugnizzi', who had an ongoing passion for creating Neapolitan cuisine with the freshest and most organic ingredients possible. We have been carrying on the tradition ever since, living and breathing Neapolitan food. Rossopomodoro has partnered with Caviar to bring the Neapolitan food to your doorstep! Feel free to order through Caviar or call us at 212 242-2310 to place an order for pick up. We value our walk-ins, so come dine with us! 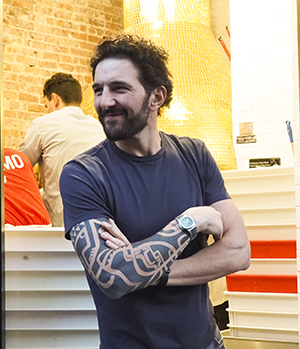 Simone Falco, an Italian born restaurateur who opened the first U.S. stand-alone Rossopomodoro restaurant in the West Village, and also ran Rossopomodoro’s U.S. operations at Eataly New York, Chicago, and San Paolo, recently experienced an evolution in the way he lived and ate. Simone became increasingly more interested in health and nutrition, forgoing gluten and dairy, and focusing on wild fish, pasture raised eggs, 100% grass fed beef, and an abundance of vegetables. As a result of the way he was eating at home, he felt that he wanted to shift the focus at his restaurant in the West Village. We work hard to preserve the culture and traditions of classic Neapolitan food. This is why we love and appreciate what we do. Simone Falco was born in Naples on October 27th 1974, where he grew up in a family of sportsmen. He soon followed the steps of his uncle Franco Manna, founder and president of Rossopomodoro, to become a rugby player. In addition to his career in Rugby, he also obtained a PhD from the University of Naples Federico II, one of the oldest Universities in Europe. Since he was very young, Simone has worked in the family company over the years to learn the proper skills needed to run a successful restaurant business, leading into the launch and development of several new restaurant locations in Italy and abroad. Simone’s personal passions include interests in health and wellness, his love for horseback riding and fitness. These passions inspired him to own a restaurant where he could eat several times a week and still feel as if he was eating at home. Simone’s new menu at Rossopomodoro offers customers the opportunity to indulge in delicious food that they can also feel good about. 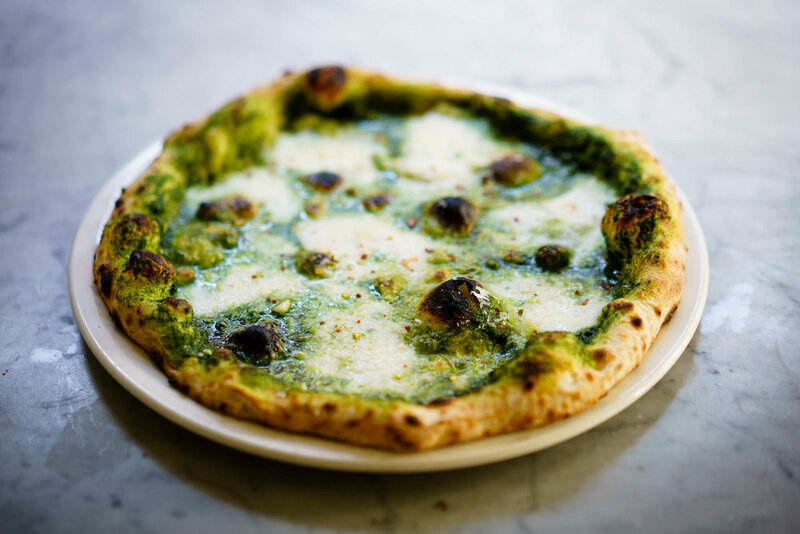 Rossopomodoro’s menu has been completely revamped with simple, straightforward and delicious dishes that are healthy and flavorful, reflecting Simone’s Neapolitan upbringing. 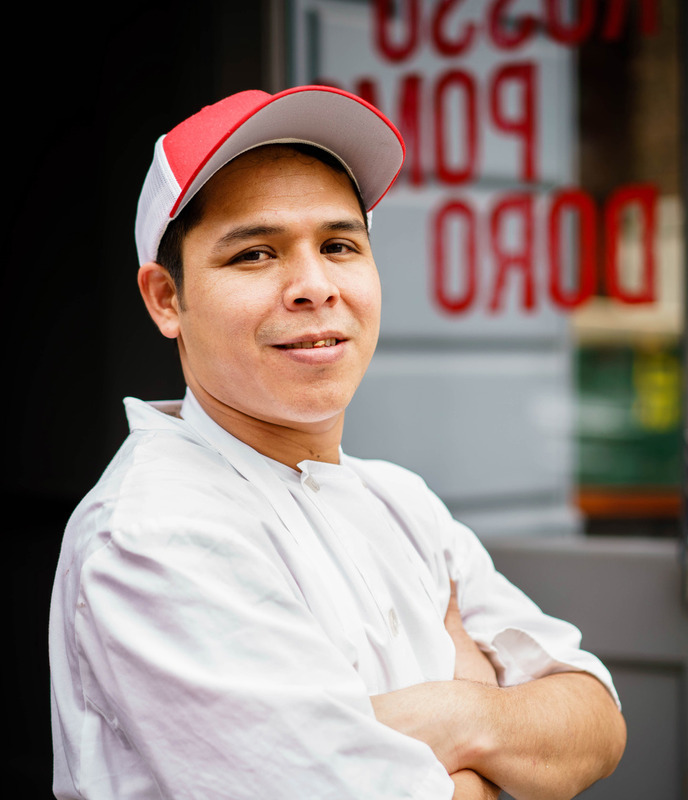 Miguel Lopez has been our head chef ever since our West Village location opened in 2014. He works tirelessly to make sure that our menu is always up to date, and that the dishes taste amazing and are true to their Neapolitan roots. Miguel takes pride in the dishes he makes, and believes that every dish should taste just as good as the last time you had it, if not better. He pushes and mentors his fellow chefs to strive for excellence in every dish that is put out on the table for a guest. Miguel is the amazing mind behind our new and improved menu, incorporating some of our new dishes that have been served as specials in the past with some of our most popular traditional dishes. The new menu just recently went live and has received a very positive response from our regulars. Miguel invites you to come join us and experience the new menu for yourselves! Rocky DeHaro joined Rossopomodoro shortly after it’s Grand Opening and hasn’t looked back. His career in the Restaurant Industry has spanned many years starting on the West Coast, before transferring to New York. Involvement here in the city has been fulfilling, rewarding, vibrant, & exciting. Having worked in all aspects of food, beverage, health, and nutrition; Italian food and wine has always held a constant place in his heart. 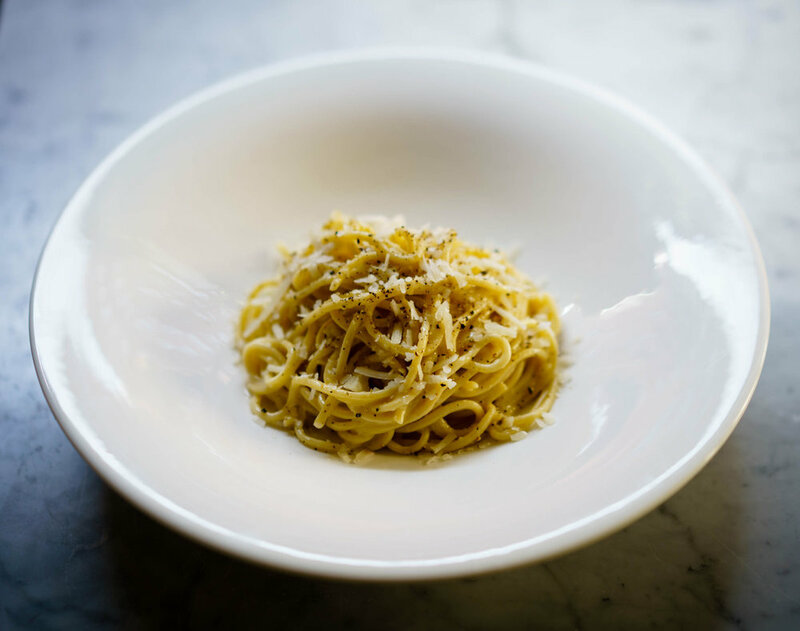 Bringing together lean, healthy and organic cuisine; prepared with Neapolitan pride, combined with the warmth and splendor that is the West Village; continues to be his direction in bringing all this to the table. Rocky wants you to come to Rossopomodoro, and taste your own little piece of Napoli!